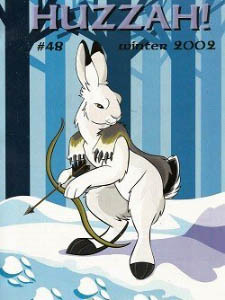 With $40 that I sent to a collector, I dove into the interesting pool of furry fanzines. Anyone can publish furry art and comics online these days, but back when the Internet was more BBS than WWW, it seems like any artist who wanted to get their name out there did a fanzine. There are an incredible number of them, and that's why in my opinion it's impossible to list them all. I know some have tried and failed. "Bestiary", "Scrap", "Karno's Klassics", "Furplay" and "PentMouse" are just a very small number of what was out there. The quality of the art ranges widely, and so far I've come across more than one comic that makes absolutely no sense at all. But those are exceptions; most of what I've seen has been quite good. For the most part, furry fanzines were published with anywhere between 8 to 50 pages. They're a really interesting view of the early days of the fandom. One thing I noticed - the style of art hasn't changed that much. But what has definitely changed is how furry fans have viewed their fandom. William Earl Haskell in Houston, TX, who has been Rowrbrazzle’s Official Editor since 2007, is stepping down because of worsening health. He will continue to be an ordinary member, but the Official Editor’s office and duties are being transferred to Edd Vick at 1505 SW Alaska Street, Seattle, WA 98106. 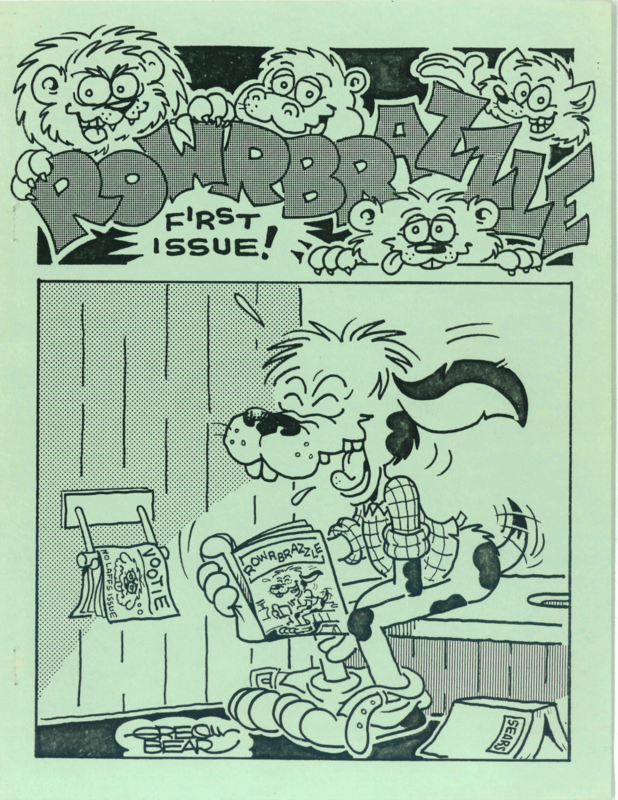 Rowrbrazzle, published every January, April, July, and October, was founded in February 1984 by Marc Schirmeister of Los Angeles fandom. At the time furry fandom was not considered to be separate from s-f fandom or comics fandom yet. It was Rowrbrazzle's discussions of the new funny-animal social events, along with the amateur sketches and cartoons (mostly of funny-animal cheesecake art), that established that a new fandom was coming into existence. Schirmeister continued to serve as ‘Brazzle’s Official Editor until 1989, when Fred Patten in Los Angeles took over. Patten was the Official Editor until his incapacitating stroke in March 2005. It was unexpected, and no clear successor had been set up. ‘Brazzle limped along with several volunteer O.E.s for a couple of years until Bill Haskell accepted the post permanently with #94 in July 2007. Now Haskell is passing it along to Edd Vick with #125 in April 2016. Rowrbrazzle is technically an amateur press association (APA or apa) rather than a traditional magazine. It has a set number of members (currently 30, with a few openings) who each print their own pages and send them to the Official Editor. He staples them together into the quarterly magazine in January, April, July, and September, and sends a copy to each member. There are some other APAs that have produced extra copies for sale to the public, but ‘Brazzle produces only enough for its own membership.